How to use a can opener varies greatly depending on the situation you’re in. Is there a cardboard box or a metal can on the counter in front of you? Or perhaps you are outside. Are you staring at dry land or an inviting swimming pool? Before actually using a can opener, you must first recognize if one is indeed called for in the given situation. When Is The Right Time To Use A Can Opener? If there is a cardboard box of macaroni or a hard cement surface in front of you, you do not want to use a can opener because you might end up with a floor covered with noodles or scrapes and bruises. (Floors covered in scrapes and bruises are not pretty floors.) Now, if there is a circular metal can in front of you, this could be a good time to use a can opener, as long as your goal is to open it. If you want to splash a friend with water, then there must be a pool in front of you. Do not attempt using a can opener on dry land, even with a metal can in your hand. How Do You Properly Use A Can Opener? There two ways to properly use a can opener and each depends on the end result that you have in mind. Do you want to make a splash or do you want to make dinner? In each of these cases, you could use a can opener. 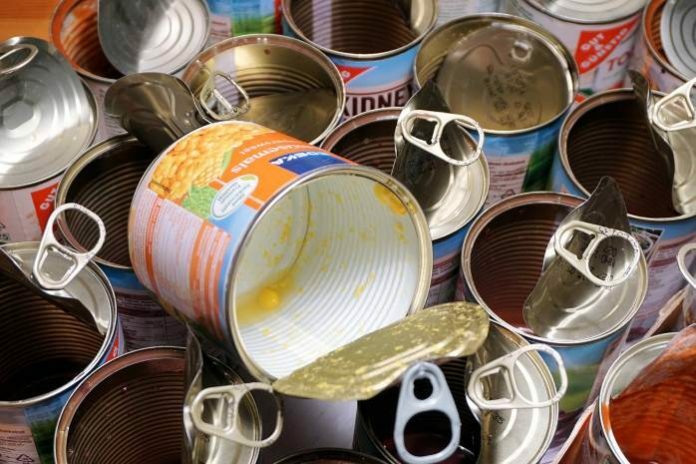 Typically, metal cans have food in them like tuna fish, beans and vegetables. If your goal is to somehow consume or use what is in the metal can, start by placing the sharp cutter on top of the can and puncture it. Twist the handle and the wheel will roll until it cuts through the entire lid. Then you can carefully remove the lid. If, however, food is not the desired outcome, then you should be standing in front of a swimming pool. There should be at least one other person present. They can either be in the pool or be sunbathing close to the pool. Run toward the pool and jump. As you lift off into the air, grab one leg and point the other leg straight down. This should make a huge splash drenching everyone in sight … unless you are very small. In that case, you probably cannot use this can opener properly and should stick to metal cans. Timing and good judgment are the two main things you need to know when it comes to how to use a can opener. Then, with the ability to follow instructions, you should be on track to properly use a can opener. Previous articleWhat’s Your Personal Pet Peeve On Twitter? Next articleWhat’s The Worst Way To Watch A Scary Movie?